Assistance League Sierra Foothills is pleased to announce the formation of our Advisory Council to enhance our partnerships with local community leaders, increase our chapter visibility and to provide networking opportunities throughout our county. Our advisory council has been selected based on their professional background, and individually will provide knowledge and expertise to explore different directions. In addition, these members will participate collectively at Advisory Council meetings to provide guidance, perspective and new ideas for Assistance League® Sierra Foothills. Owner ESI Builders & Remodelers and Golden Oak Investments, Inc.
Allan owns and operates a local real estate investment brokerage, Golden Oak Investments, Inc. and is an active owner and Chief Financial Officer for a custom home building and remodeling firm, ESI Builders and Remodelers – both headquartered in El Dorado Hills. He has been working in the residential construction and real estate industry since 2010 following a successful career in environmental engineering and consulting. He received a BS Degree in Environmental Science from Cal Poly State University, San Luis Obispo and spent >20 yrs. as an Environmental Consultant for commercial and government clients throughout the U.S., Asia, and Europe. 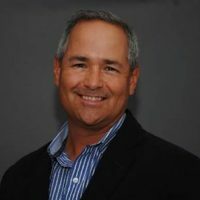 As a business-owner and partner in global environmental compliance, multimedia studies, and construction services – he helped build solution-oriented teams and solutions to improve the success of hundreds of clients and facilities worldwide. Allan, his wife Jen, and their two children have lived in El Dorado Hills since 2000 and he is involved and serves as an active member on the EDH Community Services District Board of Directors, the El Dorado Community Foundation’s EDH Endowment Cabinet, and the EDH Promise Foundation Board of Trustees. 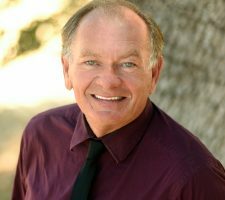 He has been active in youth sports programs and local schools, is a member of the EDH Chamber of Commerce and ED County Association of Realtors (EDCAR) and is involved in building county-wide philanthropy to the benefit of all residents in the community. Tara Turrentine joined the El Dorado County Office Education in 2015 and currently works as the Homeless Youth Coordinator. 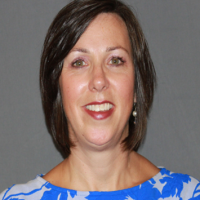 She assists El Dorado County’s 15 school districts and Homeless Liaisons by providing outreach, education, and professional development to school personnel, families, students and service agencies working with homeless families. Ms. Turrentine advocates for youth experiencing homelessness and is currently Vice Chair for EDOK Continuum of Care. She is a board member for the School Attendance Review Board, Executive Advisory Council for Foster Youth and the Community Advisory Board for Progress House. Additionally, she is a graduate of Leadership El Dorado, Class XII. Ms. Turrentine received a Master’s in Communications from California State University, Sacramento. She possesses a deep belief that education is the pathway out of poverty. She resides in Placerville with her teenage son. Pamela Maxwell joined U.S. Bank in July of 2010 and currently works as the Community Development Manager for Corporate Social Responsibility at U.S. Bank. Ms. Maxwell is responsible for the development, coordination and management of community relations and development activities within the Sacramento area, Northern California and Utah. She collaborates with community groups focusing on affordable housing, small business development, capacity building and financial education. The primary focus of her work is serving community needs within low-to-moderate income neighborhoods and meeting corporate CRA objectives. In addition, she manages the corporate giving budget for Sacramento and Northern California. Pam has been working in the banking industry for over 26 years. She previously worked for Wells Fargo in Retail Banking for 19 years. She is a board of Junior Achievement of Sacramento, Greater Sacramento Urban League, Sacramento Metro Chamber, Sacramento Steps Forward, committee member of Sacramento Self Help Housing. She resides in Shingle Springs with her husband and has two daughters. 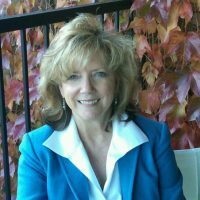 Wendy Coghlan is an attorney practicing Family Law and Guardianships primarily in the El Dorado County area, but also practices in Sacramento and Placer Counties. She has been an attorney for almost 18 years. Prior to practicing Family Law, Ms. Coghlan worked in the Dependency court, representing foster children in the Sacramento court and then representing both parents and children in the El Dorado County Dependency Court. 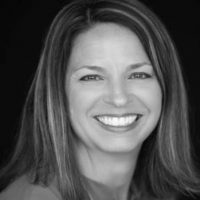 Ms. Coghlan is a member of the El Dorado County Bar Association, and a former member of the National Association of Counsel for Children. Ms. Coghlan and her husband have raised three children of their own in both Folsom and El Dorado Hills. She has greatly enjoyed both the Assistant League’s Christmas Home Tour and the Garden tours, and looks forward to working with the ALSF Advisory Council. 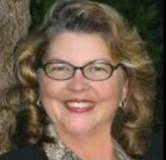 Mary M. Stacy is a Realtor, Investor, Property Manager & Home Rehabilitation Specialist. Mary’s expertise came naturally after managing an Alpha Beta Market for 9 years; and Mary (CEO) and her husband (CFO)/partner Reeve developed and ran Dana Lee Sportswear Corporation (Ladies Apparel) for 7 years. However, Real Estate is her real passion helping people sell their home or find a new home comes with pride and happiness. Seeing client smiles when they have found their new home or when they sell their home and no longer have Sellers stress is very gratifying. Family is very important to Mary and that is why she proudly joined Assistance League Sierra Foothills Advisory Council because she knew it was a perfect fit for her helping El Dorado County children and Seniors in need to find their self-worth again or for the very first time. Jeff joined the Advisory Council of Assistance League Sierra Foothills in April of 2019, capping off a 40-year career in Silicon Valley, including design, marketing and executive roles at Tandy, ProtoMatrix, Wyse Technology, and Dell. Jeff is also a member of the El Dorado Hills Endowment Cabinet. Jeff is passionate about technology, and how it can help people live more robustly and securely in the cloud age. 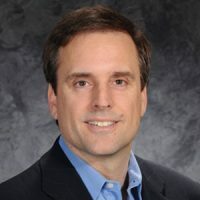 His key achievement, co-inventing thin client technology for Wyse, accelerated the move to cloud computing, and is in use by leading companies in banking, healthcare, education, federal, state and local government, and retail. Now retired, Jeff writes and speaks on technology and cyber security fields, including writing for Forbes, Network World, and The Hills Living. Jeff has lived in El Dorado Hills since 2009 with his partner Romeo and dogs Sophie and Ernie. AL Sierra Foothills is always looking for new and talented partners to join our Advisory Committee. An Advisory Committee is a collection of individuals who bring unique knowledge and skills that complement the formal board members of Assistance League of Sierra Foothills. Community members are valuable assets that can help explore, offer insights, advise and make recommendations to Assistance League. Together members of an Advisory Committee and Assistance League of Sierra Foothills can produce meaningful results that impact the future of El Dorado County. If you are interested in sharing your talent and help to improve the lives of those in need in El Dorado County, then please consider joining our Advisory Committee. Contact us to learn more about the committee and type of expertise from which Assistance League of Sierra Foothills would benefit.